The inspiration to provide a comprehensive post and pre-hospital care service for the Sickle Cell client group and their families, was instigated from my years of caring for my husband and children who were born with an inherited blood disorder that mainly affects people from the African descent such as the Mediterranean, Caribbean Islands, Saudi Arabia, India, South and Central America as well as some European countries. Because of my experience caring for my family, I am fully aware of the inclusive support required for sufferers, and families that care for them. Continuous support and specialised care is paramount after the patient is discharged from hospital. There are very serious side effects from some of the drugs which are used to stabilise and ease the painful Sickle Cell crisis. Treatment in hospital can come in the form of very strong Opiates to relieve the pain. Other medication such as antibiotics, blood transfusions and other medical treatment, would be applied to combat other serious symptoms related from the Sickle Cell crisis. The side effects of drugs combined with the hospital environment is not conducive to the mental and physical conditions when Sickle Cell crisis occurs. For example, bright lights, noisy wards, low nutritional intake, Nurses and Doctors who have little or no knowledge of how to treat Sickle Cell patients, and lack of awareness amongst the wider community, including people from the black and ethnic minority groups. The combination of all these elements has contributed to slow recovery while in hospital. I find that with my family, when discharged from hospital, often still experience pain and additional sickness caused by the side effects of the medication administered to combat the pain whilst in hospital. Recuperation period is paramount. Special care has to be given at home by the carers, families or friends to ensure that their loved ones overcome each and every Sickle Cell crisis attack. During my struggle coping with care for my family, I always longed for some kind of help and other community intervention that I could tap into to give me some respite, information on how to cope and care for my children and my husband. There was none available from the medical providers or any community projects. There were a few small Sickle Cell projects mostly run by the NHS to provide research and to collect data when people had been admitted, but nothing in the area of aftercare, outreach support for help with daily living that all disabled or chronically ill people needed to cope. This is when the vision came to me to set up a holistic therapeutic service/respite, social care service to help patients overcome the traumatic experience during and after Sickle Cell crisis. I know that long term chronic pain causes many emotional & physical reactions. Within my household, Sickle Cell crisis varies individually, and despite the same illness they always needed varying support and attention. Body massages and warm baths were used to help relieve pain and maintain good blood flow and nutrition for nourishment of the body, gentle exercise to aid circulation and bring oxygen and blood to organs and tissues, motivation and encouragement and reassuring them that they would be well soon. In correlation with my duties as a wife and mother, I also had to be their health advisor, making sure they had the right diet and took their prescribed medication correctly to aid their recovery. The frequent mood swings my family experienced from the side effects of the medications had to be addressed. I had to develop ways to deal with the crisis and to explain to the children in order for them to better understand the way they felt and the reasons for these symptoms. I am not a trained counsellor, however, it was just one of many challenges and skills parents and families have to develop when caring for Sickle Cell sufferers. Being a sole carer for anyone with a disability is tremendously demanding in all areas of a carers’ life. Sickle Cell Anaemia is equally debilitating as any other chronic health conditions Being a carer, one needs a wide circle of support, this includes family members, friends and the wider community in particular, health services, local MPs, health ministers and policy makers to recognise the seriousness of the condition and work together to provide adequate resources for provision of specialised care for sufferers and carers a like. Against the odds in 2001 I stepped out in faith with very little knowledge of setting up a charity let alone run a project. 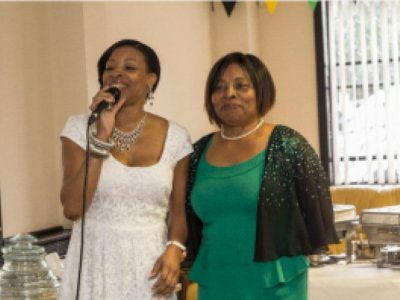 The charity was established in August 2001 to provide practical care and support for people who suffer from Sickle Cell and Thalassaemia and the wider community who suffer from long term illnesses to benefit from the therapeutic care we offer. The charity has grown tremendously and successfully, and we are now providing other services to Sickle Cell suffers and the wider community, to fill the gaps where local authorities no longer support. We continue to struggle to obtain serious funding for sustainability, and a dedicated facility for the charity. Renting from a commercial landlord is not practical or cost effective in the long-term. We are appealing for sympathetic donors to help us carry on this vast project, in money or in-kind to help us with a dedicated building to continue this work to help give people a better quality of life. Despite the difficulties, the outlook for people with sickle cell anaemia is not one of unrelieved bleakness and negativity. Providing they receive good levels of care and support within their family and the community, they can still achieve great things. People with sickle cell anaemia have successfully worked in high-level careers, including the Medical and Legal professions, and have not been prevented from making their full contribution to society. Although the periods of crisis that affect some sufferers can be serious and often require hospitalisation, it is important to note that not everyone with the condition experiences sickle cell crisis. Away from the world of work, people with the condition often draw huge comfort from family life. The disease does not in any way impact upon the ability to have children. In short, providing the right levels of support are in place, particularly during episodes of periodic crisis, sickle cell anaemia does not prevent those with the disease from enjoying full and happy lives. I know that a project as diverse as this is not going to be easy but I would like to give YAHWEH thanks for all he has done already and in advance for what I know he will do. I would also like to thank everyone who has already contributed to helping and supporting me through this. use to cope while living or caring for sickle cell sufferers. To identfy effective support services and methods of delivery, both formal and informal which will support stable family life for patients and carers. Our mission is to help develop resources and services to improve the health, quality of life and awareness for people living with sickle cell disease and associated conditions as well as providing support for caregivers, families and friends. Our vision is to be known as providers of the highest quality of holistic care and support for sufferers of sickle cell disease, regardless of economic or social standing. The average life of a young person with sickle cell or thalassaemia is truncated with periods of isolation from others due to many illnesses associated with sickle cell. In addition, they are unable to engage in a variety of physical and outdoor activities. It is for this reason that young sufferers often lose out on many opportunities taken for granted by people without this, or any other disability. To combat this, our services for young people are geared towards giving them access to a space where they can engage in fun and social activities in a caring and safe environment. And because we believe positive and personal encouragement goes a long way, we teach all young sicklers we make contact with to take an active role in the decisions affecting their lives, including treatments for their conditions. In Wolverhampton there are areas of social deprivation with high unemployment. Many of the people in these areas are Pakistani, Gujarati, Patwa, Punjabi and Urdu speaking. As English is not the first language of our local target communities, it can cause problems if they were to receive information and/or services they need in the English language, with no given alternative. The Sickle Cell Care is accustomed to providing multilingual advice, services and information for its registered clients. And because we are a community-orientated organisation, our services can extend outside of office hours. Please feel free to make enquiries about additional help or assistance during evenings and weekends.